Want to win in 2020? Focus on child care! The evidence is clear: the lack of affordable and accessible child care is drowning America’s working families. A 2018 poll by the Center for American Progress and Community Change found that the majority of respondents said it was nearly impossible for them to find affordable child care. Other studies have found a quarter of families have gone into debt to pay for care. It’s no surprise then that Americans – regardless of political affiliation – overwhelmingly support making child care and preschool more affordable as well as paying child care workers and early educators a fair wage. (Almost nine out of 10 child care educators make less than $15 an hour.) Too many of us have experienced or know relatives and friends who’ve had to give up promotions, choose less rewarding jobs or turn down job training or education because of child care issues. As a mom and preschool teacher in New Mexico and a mom in Michigan, we know firsthand the effects of struggling to get by and pay for child care. As women of color, we know that this crisis especially hurts low-income households of color. One of us has surpassed a state’s annual earnings limit by only $50 and had to pay an additional $100 per paycheck for only part-time child care. The other has strung together three child care jobs to earn an annual salary of $25,000 and still needed government assistance to get by. The data bears out our experiences. American Indian and Latino families are most likely to live in areas where children outnumber available child care options. Black families, meanwhile, work hard, earn less and have fewer options for care than white counterparts. Last year, Congress approved a historic increase in child care funding, a step in the right direction, but it is nowhere near enough to address the crisis. We need more federal investments, but we recognize that the path to get there starts in our communities, which is why much of the action to advance our movement for child care and early learning continues to take place at the state level. In Michigan, nearly half of the state’s families with young children live in child care deserts. Parents are pushing the governor and other state officials to increase the income eligibility limit for child care assistance– now at $27,729 for a family of three– and raise wages for child care providers. The state has resources to address the need, including $63 million it received from the federal government last year for early learning. 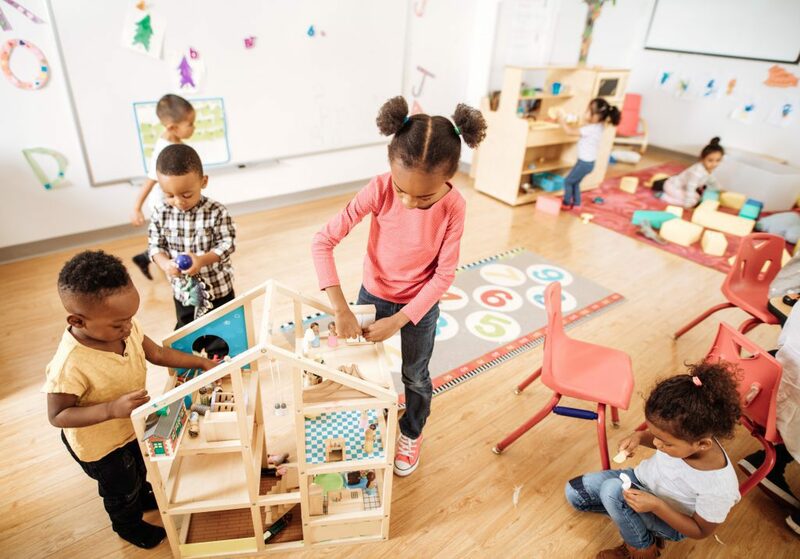 The new governor, Gretchen Whitmer, supports increasing preschool funding and grassroots leaders are working to ensure that children under three are also included in her plans. Parents and child care providers in New Mexico this year pushed state legislators to put more money in child care. The state’s new governor, Michelle Lujan Grisham, supported the move so strongly that she put forward budget proposals to increase funding by $60 million to improve operations, increase educators’ minimum hourly pay to at least $12 and use the state’s Permanent Land Grant Fund to help fund child care program improvements. Governor Grisham also proposed the establishment of a new Department of Early Childhood Education and Care to improve the outlook and well-being of children from birth to age five. Unfortunately, the state Senate nixed the idea of tapping the fund for education but agreed to a budget increase of $35.6 million, the formation of the new department and the wage increase. We also know of grassroots efforts underway in California, Oregon, Washington, Massachusetts, and Illinois to push for improvements in their child care and early education systems. In recent weeks, we’ve seen more activity at the federal level that includes the reintroduction of the Child Care for Working Families Act by Sen. Patty Murray and Rep. Bobby Scott to guarantee affordable child care and upgrade the quality of care. U.S. Sen. Elizabeth Warren’s recent proposal to expand child care to all families sets her apart from a very crowded field of Democratic presidential candidates and politicizes a crisis that affects so many families. Her call for early child care educators to be paid a decent wage could transform employment opportunities. Warren is in good company with former Georgia gubernatorial candidate Stacey Abrams, who led the way with her Cradle to Career plan that said early childhood education should take priority over multi-million tax dollar handouts and loopholes for the very wealthy. Abrams attracted more voters than any other Democratic candidate ever has in a state that is a clear Republican stronghold. Her plan illustrated how vital child care is to working parents, children, and a robust economy. It is a lesson other 2020 candidates, especially those running for president, would be wise to learn. At the end of the day, we all want what’s best for our children. We want them in the safest hands with the best care that gives them a strong foundation for a bright future. And we can do it. We can save our families from this national crisis by offering the life preservers they need to afford high-quality child care and early learning for their little ones. Carmella Salinas is a mom, grandmother, an early childhood educator with 17 years of experience, and a grassroots leader with Organizers in the Land of Enchantment-OLE in New Mexico. Tameka Ramsey is a mom, new grandmother, and a grassroots leader with Mothering Justice in Michigan.